The EPA Environmental Technology Verification Program (ETV) verified the performance of a wide variety of environmental technologies developed by companies located throughout the United States. ETV also conducted verification testing events at field or laboratory locations throughout the country. 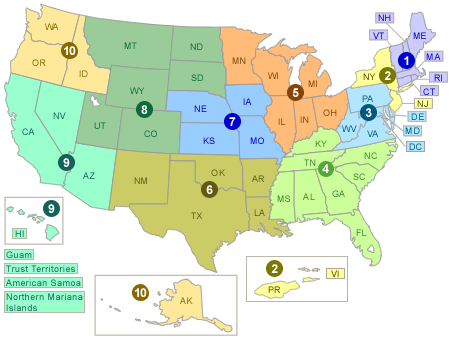 For information about vendors who have had their technology verified by ETV, choose an EPA region or a state or territory from the drop-down lists, or click on an EPA region on the map below. ETV International: ETV also verified the performance of a number of technologies from developers located outside of the United States. In many cases, the vendors had offices or distributors located in the United States.